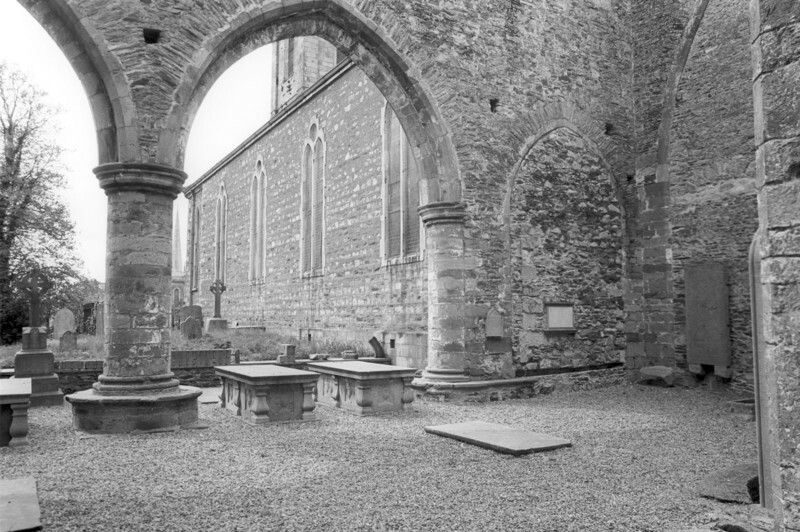 “St Mary's Parish Church, New Ross, Co Wexford, interior - south transept, aisle and west elevation,” Gothic Past, accessed April 23, 2019, http://gothicpast.com/items/show/1280. Photograph by Roger Stalley. View of the south transept from the east showing arcade of pointed chamfered arches in two orders resting on cylindrical pier with moulded bell capital and water - holding base. The respond is engaged to the west elevation. Blocked arches to the nave and crossing can also be seen and the south wall of the modern nave and tower is visible through the arch.